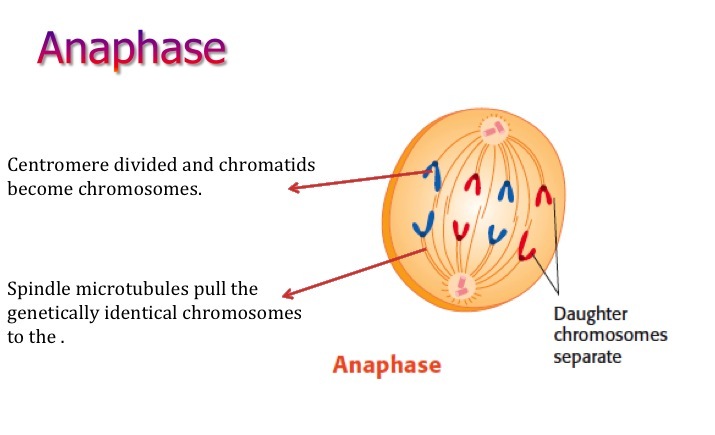 Interphase is a very active phase of the cell cycle with many processes occurring in the nucleus and cytoplasm. What is the process happening here? What happens when a cell divides? This results in formation of two daughter cells. What would happen if these cells don not stop and keep on dividing…. There will be uncontrolled division leading to forming a mass of cells. 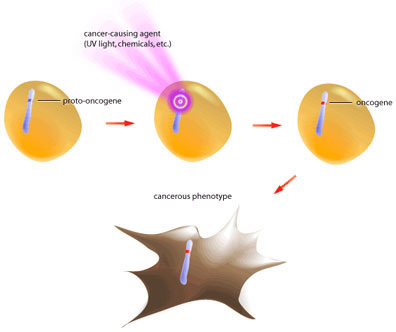 The tumour or cancer can happen in any tissue. How is the division controlled ? G1 the cell grows and there is duplication of organelles. S is synthesis stage when DNA is synthesised or replicated. G2 the chromosomes begin condensing. 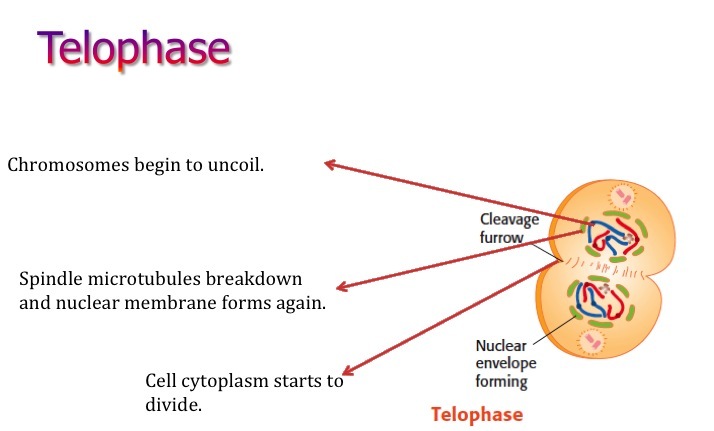 During nuclear division occurs that includes that includes Prophase, metaphase, Anaphase and Telophase. 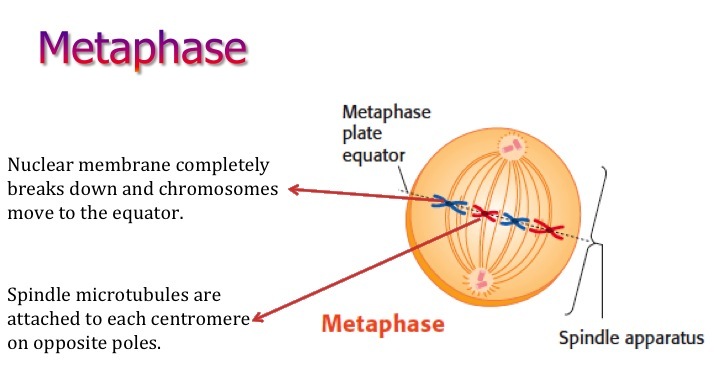 Interphase is an active period in the life of a cell when many metabolic reactions occur, including protein synthesis, DNA replication and an increase in the number of mitochondria and/or chloroplasts. 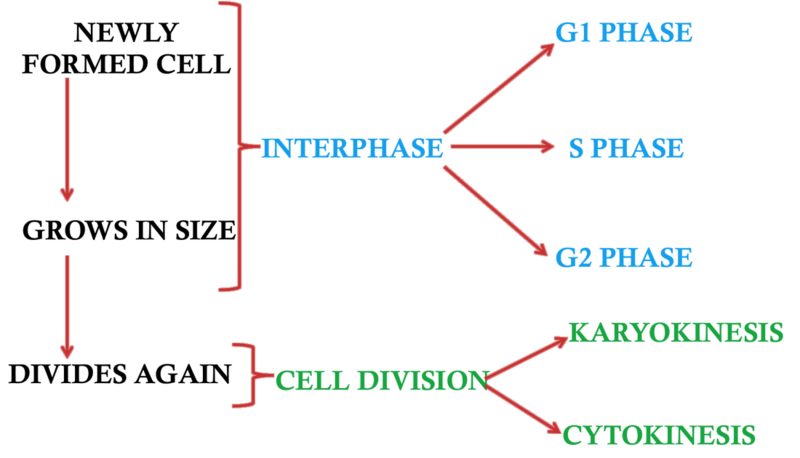 Interphase includes three phases G1, S and G2 phase. During the G1 phase there is synthesis of various proteins which allow the cell to specialise. During the S phase the DNA synthesis occurs. During the G2 phase there is enzyme / protein synthesis, biochemical reactions like cell respiration; growth; organelle replication etc. 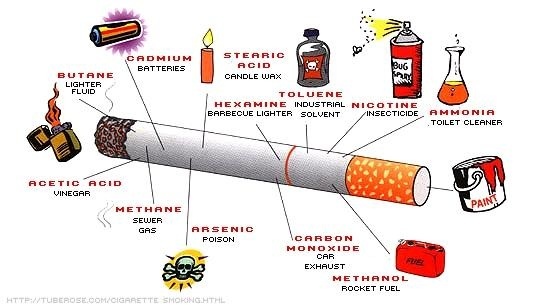 Find out the What is G0 phase? 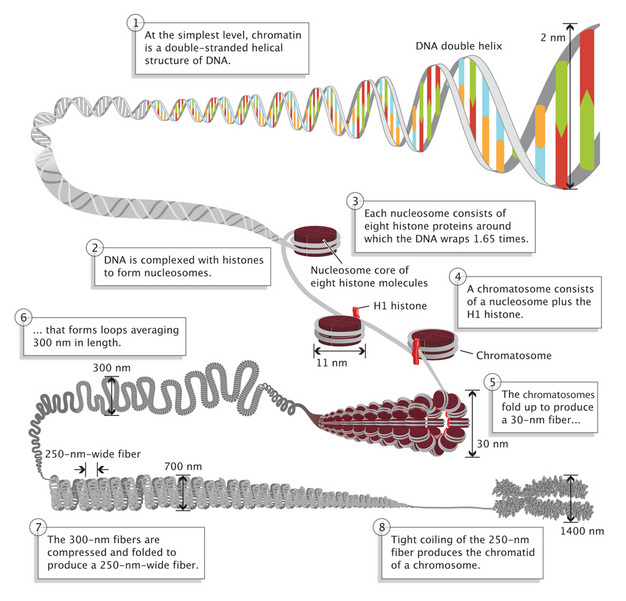 DNA is wound around histone proteins. This structure is called nucleosome. The nucleosomes further condense to form solenoids. 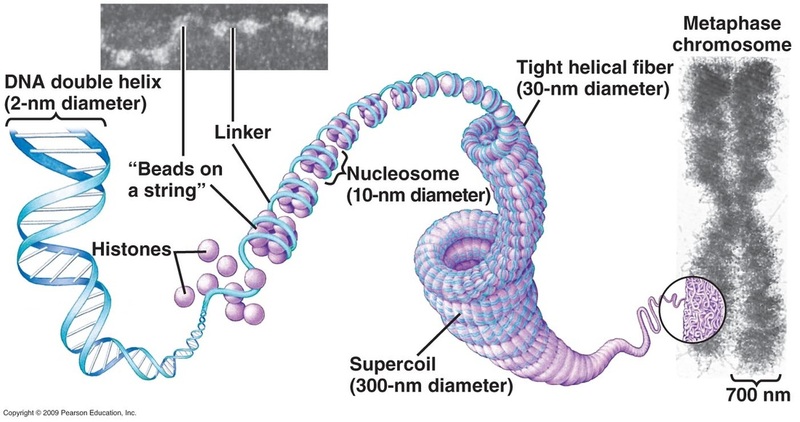 The supercoiling of these form the chromosome. The replicated chromosome has two strands- chromatids. The chromatids are attached at a point called as the centromere. Explain how mitosis produces two genetically identical nuclei. During interphase DNA produces two copies of genetic material. 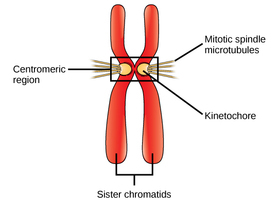 Sister chromatids are two identical DNA molecules held together by centromere, these sister chromatids are separated during mitosis to form two genetically identical nuclei. 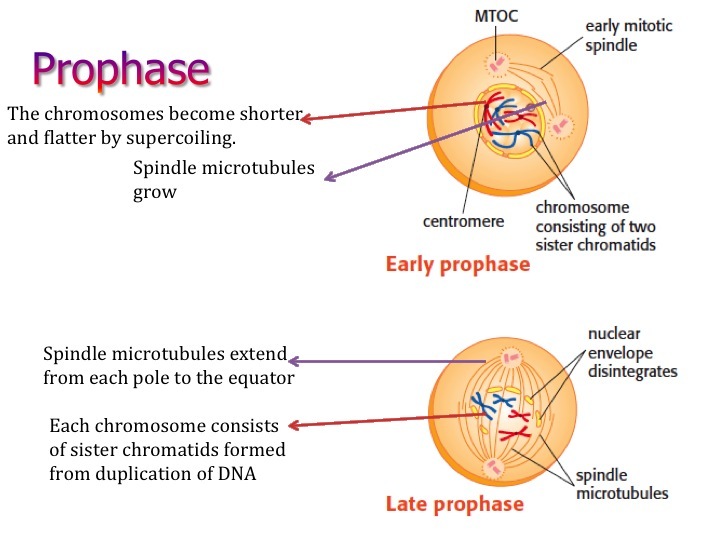 In prophase chromosomes shorten/thicken/become visible as double-stranded chromosomes. Chromosomes begin to move towards equator/centre of cell. During metaphase all chromosomes lined up at equator separate. At start of anaphase centromeres divide separating sister chromatids. Separated sister chromatids are pulled to opposite poles. Nuclear envelope/membrane forms around each set of chromosomes. Thus results in genetically identical nuclei. Growth, embryonic development, tissue repair and asexual reproduction involve mitosis. Thus it can be stated that mitotic division is responsible for growth of an organism, development of the embryo, repair mechanism and in asexual reproduction. Multicellular organisms increase their size by increasing their number of cells through mitosis that leads to growth. Certain eukaryotic organisms may reproduce asexually by mitosis (e.g. vegetative reproduction) i.e. asexual reproduction. Damaged tissue can recover by replacing dead or damaged cells that helps in healing. A fertilised egg (zygote) undergoes mitosis and differentiation in order to develop into an embryo. Skill: Identification of phases of mitosis in cells viewed with a microscope or in a micrograph.